Ready to experience the diverse culture, spectacular architecture and beautiful natural sights the ‘City by the Bay’ has to offer? The city is ideal for travelers who wish to relax and feast their eyes with incredible cultural, historical and natural landmarks. Check out our selection of best places to visit in San Francisco and be prepared for a holiday trip to remember. No wonder we’ve placed the Golden Gate Bridge first as it is one of San Francisco’s iconic landmarks. Did you know that no less than 9 million people cross the bridge every year? Whether you take your car, bike, or wish to stroll along the walking path, take some time to enjoy the view over the city. The City by the Bay is just breathtaking. 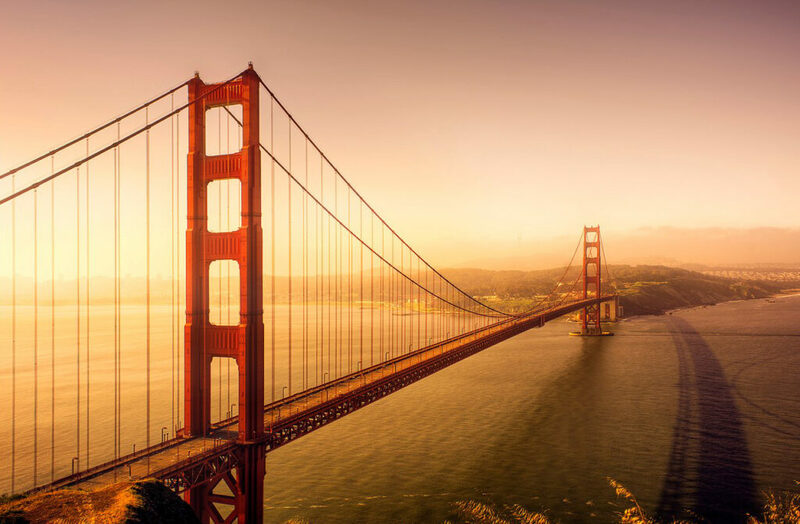 We recommend you to walk across the Golden Gate Bridge to better connect to the rhythm of this magical city. 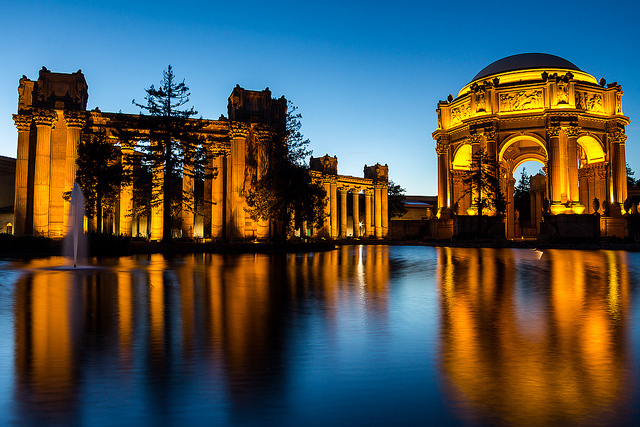 This astonishing San Francisco destination has so many treasures for you to discover, from playgrounds and lakes to monuments and cultural venues. To name just a few, The Golden Gate Park Carousel, the windmills, polo fields and chain of lakes are all worth a visit. The location is among the most visited parks in the US. Larger than New York Central Park, the Golden Gate Park will amaze you with its picturesque urban spaces. Its beautiful gardens make for a great picnic right in the middle of the city. If you are the adventurous type, why not rent a boat? You can explore the Stow Lake and reconnect with the natural world at the same time. Located in the Golden Gate Park, the Conservatory of Flowers is worth mentioning as one of the amazing places to visit in San Francisco as it has a great and long history behind. 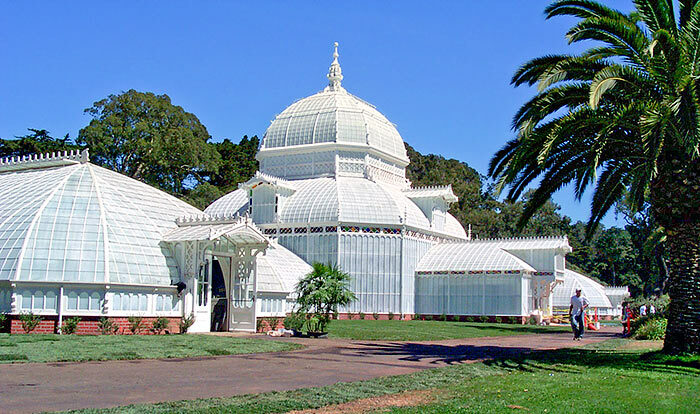 Not only it is the oldest conservatory in North America, but also one of the most visited attractions of the ‘City by the Bay’. Since its reopening in 2003, over 2 million of visitors have entered its gates. This Victorian wood-and-glass greenhouse is a must-visit location, especially for photography enthusiast. 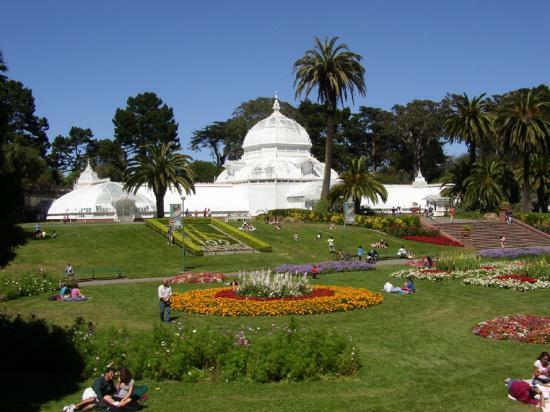 Many of the San Francisco residents actually plan their wedding or other special events at the Conservatory of Flowers. If you like both natural and historical tourist attractions, we are sure you are going to fall in love with this location. 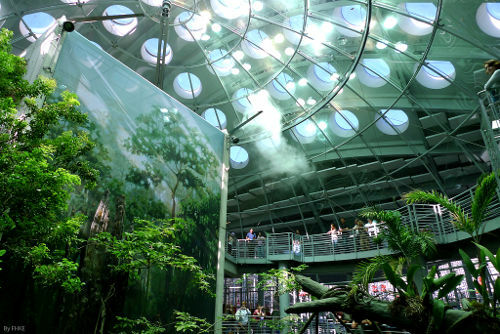 Labeled as the ‘greenest museum on the planet’, California Academy of Sciences was reopened in 2008 and it now hosts not only an educational site, but also a planetarium and a natural history museum. With its rainforest dome and impressive coral reef ecosystem, this must-visit destination will charm you. There’s so much to discover under just one roof. Take your family and enjoy some fun and educational time together. Be sure to participate in one of the planetarium shows. No matter is you are a science aficionado or not, this stunning museum with its living exhibitions and wonderful coral reefs will charm you. Take your time to admire this monumental construction, located in the Marina District of San Francisco. The Palace has an impressive, well-preserved architecture which makes it a popular tourist attraction in the city, as well as an ideal place for photography. In fact, besides hosting art exhibitions, The Palace of Fine Arts is a popular location for different ceremonies, especially weddings. Built inside of a lagoon, the construction features a grand classical European architectural appearance. If you are looking for a trip back in time, this will be one of your favorite places to visit in San Francisco. Make sure your camera is with you, so you can capture these memorable buildings and moments. If you are a fan of Walt Disney’s movies, this should be at the top of your best San Francisco places to visit list. Devoted to the famous cartoonist, this museum offers incredible and detailed insights into his life and legacy. What will truly impress you is not only the size of this space but also the technological means they use to bring Walt’s achievements to your attention. If you are on a tour with your family, your kids will love the interactive gallery, where they can see a Disneyland model of 12-foot diameter and enjoy the listening stations. 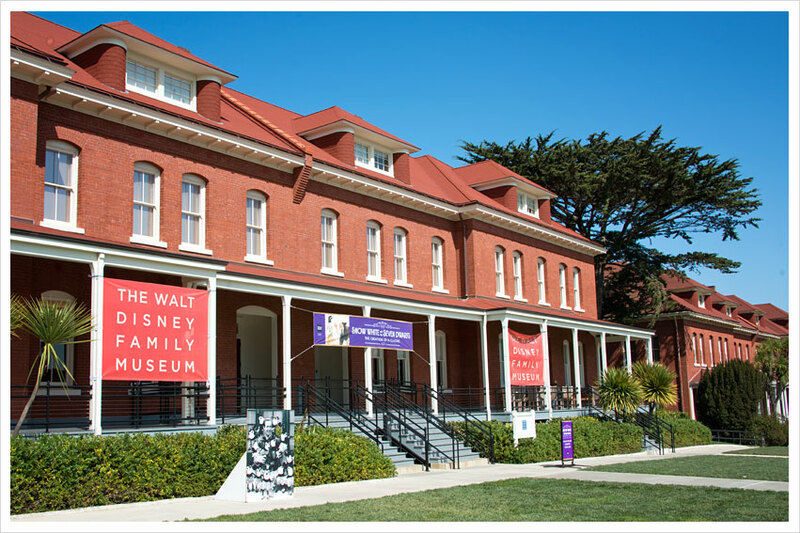 A visit to the Walt Disney Family Museum is one of the best things to do in San Francisco, especially if accompanied by your loved ones. 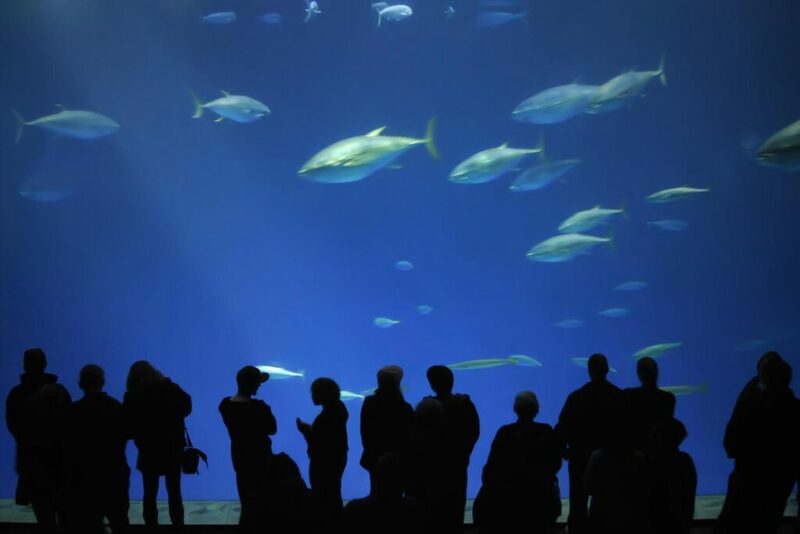 Depending on how much time you have available, we’d recommend you to spend a day at this marine center. The diversity of aquatic animals you can see here is spectacular. There are over 20,000 species of aquatic life represented, from sharks to bat rays. Get ready for a memorable encounter with our natural world. I’m sure you’ll be amazed by the 300 feet aquarium’s tunnels. 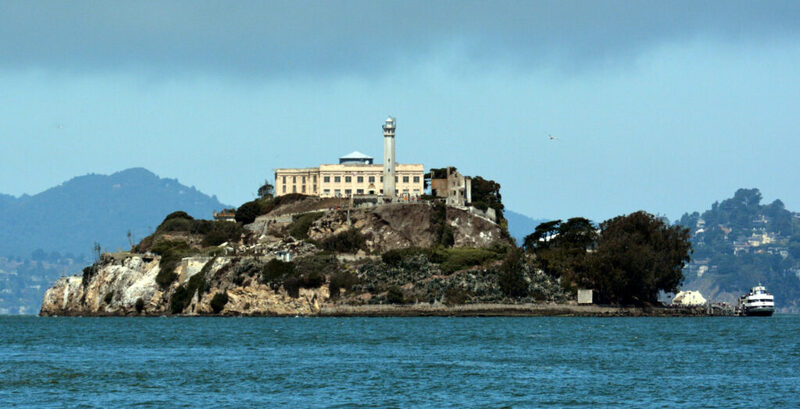 Former federal penitentiary, Alcatraz Island or simply ‘the Rock’ is one of the fascinating places to visit in San Francisco. Besides visiting the cell blocks once taken care of by prisoners, you can have a walk through the beautiful gardens in Alcatraz. As a hint, make sure to book an audio tour in advance and enjoy the breathtaking views from the island. We can assure you that the Alcatraz visit is one of the best things to do in San Fran. Fisherman’s Wharf is another must-see location in the city. It is located just a little over a mile from the prison island. In fact, a majority of the San Francisco Bay cruises dock in the area. As the Fisherman’s Wharf stands for San Francisco’s fishing industry center, you have plenty of restaurants where to try out their special fish dishes. Why not take a day or at least a few hours and also discover the submarine museum and memorial – USS Pampanito? Pier 39 and Ghirardelli Square are also a few blocks away, so you can take a side trip there if you have time. There are shops and eating area in both locations for your convenience. What does Andy Warhol, Jackson Pollock, Henri Matisse or Marcel Duchamp say to you? 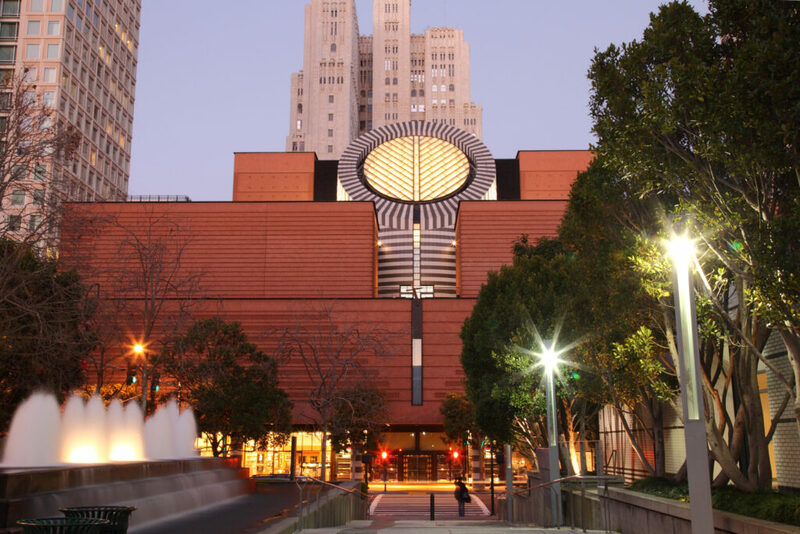 SFMOMA is the perfect location to visit in San Francisco if you are an art lover. What is more, until 2016 you can take part in SFMOMA events and exhibitions in an off-site location around the beautiful Bay Area. You can skim through its official website to learn more about its collections. Feast your eyes and your soul with an unforgettable trip by exploring the culture, foods, sights, and sounds of San Francisco. In the case that you have more time in your hands to spare in the City by the Bay, then here’s another list of best places to visit in San Francisco and views to enjoy. If there’s one thing Union Square is known for, it’s for being one of the premier shopping districts in the world. On top of that, the area is also considered as a historical landmark because it used to be a venue for rallies and support for the Union Army; thus, the name Union Square. While it is dubbed as the “crookedest street,” Lombard Street is not entirely crooked. In fact, the street runs across town with only a block long of it covers eight sharp turns along a roadway filled with flowers. This crooked part of the street is somewhere between Leavenworth and Hyde. If you want some killer views of the San Francisco Bay, the Angel Island is one of your best spots. You can follow hiking trails leading to the peak of Mount Livermore which is 781-foot-tall, by the way. You can also visit the Immigration Station Museum. To get to the island, you need to hop on a ferry boat from Pier 41. The Ferry Building is a transit hub and a farmer’s market at the same time. You can take a ferry from there, shop some local goodies, or dine in one of the restaurants. 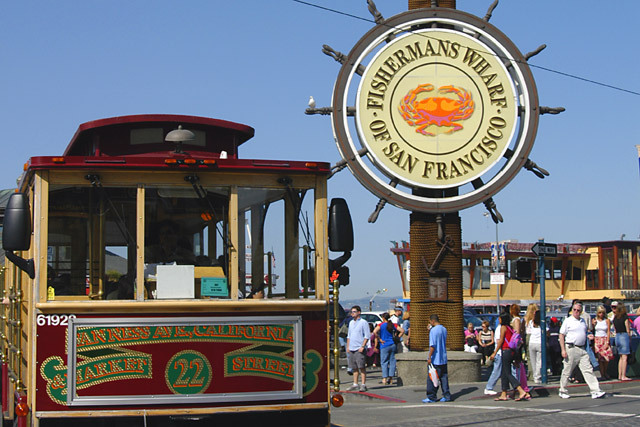 There is even an iconic streetcar that you can ride going to the Fisherman’s Wharf. This small town is another excellent spot for some breathtaking views of San Francisco as it sits right across the bay in the northern part of the city. But, the town itself posses a beauty of its own. Tour around and amaze yourself with the unique houses in the community. There are two ways to get to Sausalito. You can either ride a ferry from Fisherman’s Wharf or drive across the famous Golden Gate bridge. If you have more time, take a side trip to Marin Headlands. This hilly peninsula is a great place to park for a while and just enjoy the view. Located in the Pioneers Park in Telegraph Hill, this 210-foot tower is also known as the Coit Memorial Tower. It was built to commemorate the firemen who lost their lives during the five major fires in San Francisco. The location of the tower is quite strategic; from there, one can get the best 360-view of the bay and the surrounding countries. Hence, it once housed a two-story observation deck way back in 1849. This place one of largest communities of its kind. If you decide to tour the area, you’ll see some souvenir shops, herbal shops, markets, tea stores, restaurants, and a lot more. There’s so much to see in this place; one must have the drive to explore and experience everything it has to offer. While this isn’t exactly a tourist spot, it is, however, considered as a moving landmark that can give you a unique and rather slow tour around the area. While San Franciscans are used to riding it now and then, the experience is sort of a must-do for tourists. Hop on a cable car and ride all the way to the prominent Nob Hill where you can see some of the city’s most luxurious hotels. San Francisco is an excellent destination for some family-friendly activities. Like any other city you’ve been to, it has its own story to tell and notable landmarks to be proud of. If visit the city anytime soon, we hope our list can guide you through your whole trip. Photo Credits: Clubzone.com, Wikimedia.org, Fanpop.com, Inetours.com, Openjourney.com, Augmentedrealitytrends.com, The Bubblybay.com, Grayline.com, Wikimedia.org, Travellivelearn.com, Wikimedia.org.